Italian language course levels are determined by placement tests to ensure the appropriate level. Since language demands are challenging, students may be placed in a level lower than requested. Students are advised to gain pre-approval for several levels of Italian from their home institution in order to ensure that they receive credit for the level they are placed into after the placement test. With the exception of Italian language courses are taught in English, Monday through Thursday plus some Fridays. Italian language study is optional throughout the semester, but students are required to take a 2-credit Italian Language course during Orientation. 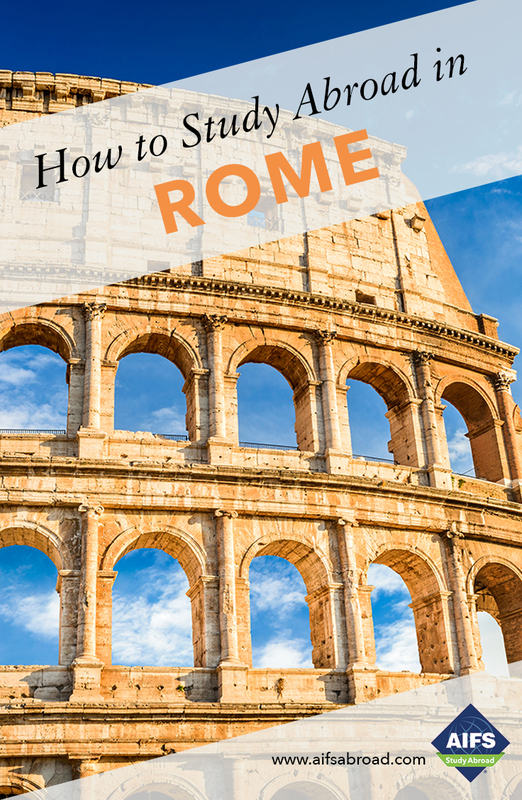 The Rome Core Courses listed are guaranteed to be offered every semester in addition to Italian Language courses, Service Learning, the Internship and Music programs and AVC 4800 (Introduction to Italian Art). The Core courses focus primarily on the history and culture of Italy and make use of the resources available in Rome. The other courses require a minimum of 10 students to run. New courses may be offered. Please check the Richmond website for the most current course list. All students take the 2-credit Italian Language during Orientation. CEFR (Common European Framework of Reference for Languages) level is indicated along with course code. A basic introduction to the Italian language for those with no previous experience, the course teaches essential vocabulary and grammar and develops students’ ability to communicate in an authentic linguistic context. Designed for students who already have some knowledge of Italian, the course revises basic grammar and vocabulary in preparation for the next, Intermediate, level. Classes and student oral practice are conducted mainly in Italian. Prerequisites: One or two semesters of Italian and/or a pass at ITL 3821 level, and/or min. 70/100 score on the diagnostic test. This course helps students to develop their ability to communicate effectively, using an expanded range of vocabulary. Conversation practice improves listening and interpretation skills. Reading and writing exercises improve skills in understanding and writing simple prose. Prerequisites: Two or three semesters of Italian and/or a pass at ITL 3822 level, and/or min. 70/100 score on the diagnostic test. This course develops students’ skills and enables them to understand and respond to quite complex lines of argument, both in oral and in written form. Students are introduced to more complex forms of grammar and more expanded vocabulary, to give them the ability to carry out and refine tasks within authentic context. Prerequisites: Three or four semesters of Italian and/or a pass at ITL 4821 level. This 10-week course provides students with basic vocabulary and phrases to cope with authentic everyday situations. It is designed for those students who prefer the communicative approach with less emphasis on language structure analysis. Designed for students who already have some knowledge of Italian, the course revises basic grammar and vocabulary before progressing to more complex structures and functions leading up to the next, Intermediate, level. Conversation is a central part of every lesson, with ample opportunity for student oral practice in understanding the spoken language through the use of authentic material. Classes are conducted mainly in Italian. Prerequisites: One or two semesters of Italian and/or a pass at ITL 3821 level, and/or min. 70/100 score on the diagnostic test. This course helps students to develop their ability to communicate effectively and accurately, using an expanded range of vocabulary. Conversation practice improves listening and interpretation skills for better understanding and response in authentic Italian context, such as talking about cultural elements in Italian society and expressing opinions. Reading and writing exercises improve skills in understanding prose and writing letters and messages with appropriate vocabulary. Prerequisites: Two or three semesters of Italian and/or a pass at 3822 level. This course builds upon the skills gained in Intermediate level and develops them to enable students to understand and respond to quite complex lines of argument, both in oral and in written form. Students review complex grammar structures and practice exercises in reading, composition, phonetics, syntax, and style. Continued practice in conversation provides students with an increased capability to communicate competently in Italian. Prerequisites: Three or four semesters of Italian and/or a pass at 4841 level. This course introduces students to advanced structures and vocabulary, which will enable them to interact with the Italian world at a sophisticated level. It enables them to understand lectures and complex lines of argument, including various attitudes and viewpoints, both in oral and in written form. They should become fluent and spontaneous in verbal interaction, and well able to present and sustain an argument, both orally and in evidencebased writing Prerequisites: Four/five semesters of Italian and/or a pass at ITL 4842 level. Please see the Richmond website for the latest descriptions and prerequisites. Drawing is used as a basic exploratory tool to examine Rome as the site for both subject—in particular, the river Tevere—and as a research resource for the practice of drawing—especially in the Roman churches, galleries and museums. The course is divided between working in the studio and on location in Rome. The sketchbook is an essential aspect of the course in helping students to document the city, stimulate and develop ideas and as a reminder that drawing is a portable medium. A studio fee is levied on this course. In this course, students explore the most important characteristics of Italian journalism and the Italian media system. The focus is around a comparative analysis of different styles used in international journalism. Particular attention is given to the development of writing styles for news, features, interviews and reviews where students develop their own practical skills. Explores the history and practices of consumption in Italy, and the consumption of goods, products and services that have been encoded as “Italian” outside the country itself. The course looks at the transition to a consumer society and investigates areas such as advertising, fashion, industrial design, food culture and sport. Includes on-site visits and field trips to major Italian companies. Covers the history of Rome from its reputed founding by Romulus and Remus to the establishment of the Roman Republic and the creation of the Roman Empire, leading up to conversion to Christianity and the appointment of the first Christian emperor. Much of the course is taught on-site with visits to archaeological sites, churches and museums. This course explores the history of the Italian Mafia from the national unification of Italy until the present day. Topics studied include relationships within the organization, those between the Mafia and Italian Politics and those between the Italian and the American mafia. This course surveys the history of medical knowledge and practice in Western Europe from Antiquity to the 19th century. In particular, it examines the development and dissemination of medical knowledge, the organization of healthcare, the experiences of patients, and the relationship between forms of healing and their social and cultural contexts. This course studies the major events, ideas, persons, and places that have significantly influenced both the evolution of the Church from its primitive beginnings as a religious sect, spiritual and political movement in the Mediterranean to the establishment of the current sovereign Vatican City State in Rome, as well as the progression of human civilization within the same historical period. The Service Learning and Active Citizenship course is a student community placement that aims to provide students from all disciplines and majors with the intellectual, professional and personal skills that will enable them to function well in a culturally diverse community in Rome. In addition to the weeks of field work, the student will also produce a written journal of their experience which provides critical reflection a ‘community action’ portfolio and a final oral presentation. This course provides a multicultural and global perspective psychology. Students analyze how culture influences human thoughts and behavior across cultures by integrating theoretical and applied components of cross-cultural psychology with theory and research from anthropology, sociology, biology, geography, communications and intercultural relations. Focuses on the religious experience of Late Antiquity, which opened the way to medieval civilization and, eventually, to modern western culture. It examines the beliefs present within the Roman Empire (I – IV century A.D.), including the most significant religions, cults and mystical movements. Visits to museums and places of archaeological importance in Rome will illustrate the connection between the material and the religious. Explores the monotheistic religions of the Near East (Judaism, Christianity and Islam), those of India and the Far East (Hinduism, Buddhism, and Taoism) and the ‘new-age’ faiths. The history and practice of each is studied. Special emphasis is laid on the philosophical and psychological basis of each religion and on common themes. The course focuses on aspects of post-war Italian culture including cuisine, fashion, religious beliefs and the persistence of superstition. Lectures cover topics such as the role of women, food and wine as cultural traditions, the effect of social change, and culture and style. Lectures are supported by field visits, food and wine tasting sessions, and audio-visual materials. The course investigates the theories, structures and trends of management in organizations. The course covers topics such as the analysis of organizational environments, problem identification, opportunity analysis, decision making under uncertainty and the managerial functions of planning, organizing, leading and controlling. The course also addresses issues of sustainability. The course investigates the problems of entering new markets and competing in markets with different cultures. Studies the methods of analyzing market demand, competition, costs, the structure of distribution and other factors which affect marketing management decisions in foreign countries. The Italian Language and Culture Certificate Program is available to all students from absolute beginners to Intermediate I level. Students enrolled in the Italian Certificate Program are strongly encouraged to choose the Italian family homestay accommodation option. Native speakers are not eligible for a certificate in their own language. Students take one 3-credit course plus three 4-credit courses taught progressively throughout the semester for a total of 15 credits. An examination is administered at the end of each course which students must pass in order to be admitted to the upper level continuation. The program is taught in conjunction with Scuola Leonardo da Vinci. Classes meet every day, Monday through Friday, for a total of 18 contact hours weekly. demonstrating intermediate - high level proficiency in a written and oral proficiency interview administered at the end of the program by a certified tester approved by the Richmond University Department of Modern Languages. The Common European Framework (CEFR) divides learners into six different levels. For each level there is a description of what the learner has to be able to do in reading, listening, speaking and writing. Those descriptions apply to any language. In Levels A1/A2 students take courses which provide the basics of Italian in grammar, reading, writing, and speaking/listening. These courses improve Italian communication skills. In Levels B1/B2 students take courses designed to develop the linguistic and study skills in reading academic texts, listening to academic lectures and other types of communication, writing clear academic papers and professional communication, participating effectively in class discussions and making presentations. In Levels C1/C2 Advanced to proficiency students take courses focused on a particular skill or topic. Beginners start with an Elementary Italian I – A1, and may progress up to the Intermediate I plus/B1+ level. Elementary Italian II – A2, and may progress up to the Intermediate 2 plus/B2+ level. Intermediate Italian I – B1, and may progress up to the Advanced/C1+ level. Intermediate Italian II – B2, and may progress up to the Proficiency/C2 level. A thorough, basic introduction to the Italian language for those with little or no previous experience, the course teaches essential vocabulary and grammar and develops students’ ability to communicate in an authentic linguistic context. Designed for students who already have some knowledge of Italian, the course revises basic grammar and vocabulary before progressing to more complex structures and functions leading up to the next, Intermediate, level. Classes are conducted mainly in Italian, with ample opportunity for student oral practice. This course helps students to develop their ability to communicate effectively and accurately, using an expanded range of vocabulary. Conversation practice improves listening and interpretation skills. Reading and writing exercises improve skills in understanding prose and writing. Prerequisite: successful completion 3/4 semesters of Italian. This course enables students to understand and respond to quite complex lines of argument, both in oral and in written form. Students are introduced to more complex forms of grammar and more sophisticated vocabulary, to give them the ability to carry out and refine skills in listening, speaking, reading and writing in Italian. Upon successful completion of the 3-credit course, students continue with three 4-credit courses taught progressively one at a time, each with a four-week duration. An examination is administered at the end of each course. Designed for students who already have some knowledge of Italian, the course revises basic grammar and vocabulary before progressing to more complex structures and functions leading up to the next, Intermediate, level. Conversation is a central part of every lesson. Classes are conducted mainly in Italian. Prerequisites: One or two semesters of Italian and/or a pass at ITL 3821 level, and/or min. 70/100 score on the diagnostic test. This course helps students to develop their ability to communicate effectively and accurately, using an expanded range of vocabulary. Conversation practice improves listening and interpretation skills for better understanding and response in authentic Italian context. Reading and writing exercises improve skills in understanding prose and writing. Prerequisites: Two or three semesters of Italian and/or a pass at 3822 level. This course builds upon the skills gained in Intermediate level and develops them to enable students to understand and respond to quite complex lines of argument, both in oral and in written form. Students review complex grammar structures and practice exercises in reading, composition, phonetics, syntax, and style as well as conversation. Prerequisites: Three or four semesters of Italian and/or a pass at 4841 level. This course introduces students to advanced structures and vocabulary, which will enable them to interact with the Italian world at a sophisticated level. It enables them to understand lectures and complex lines of argument. They should become fluent and spontaneous in written production and verbal interaction. Prerequisites: Four/five semesters of Italian and/or a pass at ITL 4842 level. In this course students with a high level of proficiency in written and oral communication practice focus on a particular skill or topic. Courses include test preparation classes for CILS, the Certification of Italian as a Foreign Language (Certificazione di Italiano come Lingua Straniera) or CELI, the Certificate of Knowledge of Italian Language (Certificato di Conoscenza della Lingua). Prerequisites: Five/six semesters of Italian and/or a pass at ITL Advanced level. For music majors who do not want to fall behind during a semester abroad, or for those with an interest in music, an exciting Music Program is available, taught in a multicultural environment in conjunction with Saint Louis College of Music, founded in 1976 and authorized to issue Bachelor’s and Master’s degrees by the Italian Ministry of Education, Universities and Research. Students take up to 15 Richmond credits and may then take an additional music course. As this program is taught by the Saint Louis College of Music, Richmond does not award the academic credit. Students receive a Saint Louis College of Music certificate authenticating work completed and should confirm the status of credit transfer for courses taken at Saint Louis with their home institution. Music classes are taught in the evenings and do not conflict with the majority of the Richmond courses. Richmond students take their music classes in a truly international context, with Italian and other international students at Saint Louis College of Music, conveniently located in Monti neighborhood, just a short distance from the Richmond Center. Instruction is in Italian, but all music instructors speak and understand the English language. The study of each instrument will focus on thematic developments and applications, combos for group practicing, history of jazz or rock, improvisation sessions. Online Registration - Very Important!